It's really annoying when you want to call someone urgently but your phone has very weak network signal to make a new call. You might have faced this problem many times. Generally speaking, it's not your phone fault. 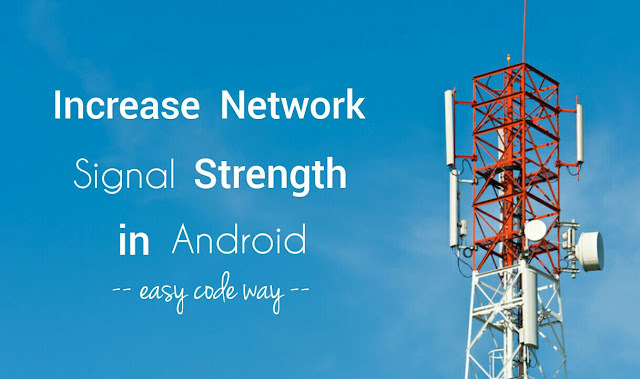 There are number of factors which directly affect cell phone signal quality such as network carrier, server load, location, environment, weather etc., Furthermore, anything coming in the way of signal can badly affect its strength. Even the walls and trees are one of the main culprit. First of all, go to "Settings > More". Now click "Mobile Network" and then tap "Network operators" option. 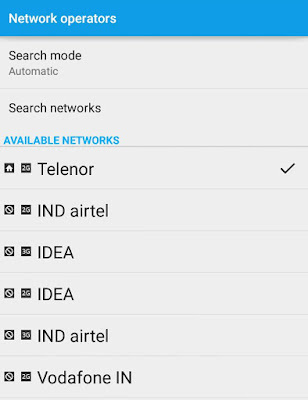 After searching, your phone will list all available networks. Either select the right network operator manually or let you phone choose it automatically. Note that, if your network operator isn't there in the list, this means that there may be no towers nearby. Try searching it later or sometimes, using different network operator may work. You might have seen many people raising their hand high in hope to get some good network signals. Yeah, that can also help you. Note that, as you'll go high in the sky, there will be a direct line-to-line contact between your phone and the tower, which will improve more signal quality. Keeping this thing in mind, we can conclude that if you're at your home, either get out or open the windows in order to get good network signal. In general, avoid four walled places such as basement. Another good example is movie hall. It's believed that if you'll put the phone in a glass tumbler, it will boost up the signal strength. Even if no network signal is available at a time, you can manage to make an urgent call. This is one of the best method which really works. The only logical explanation I have found is that, once the signals are trapped in a glass tumbler, it will concentrate them to your phone after going through too many reflections, which will ultimately improve the signal strength. Now you may be thinking that how you can speak with the person when your phone is in a glass tumbler. For that, either use earphones or put your phone in a loudspeaker mode. Let me ask you one simple question. Can you change the TV channel by covering the remote LED light with your hands? Most probably not. Same thing might be happening with your phone also. It's advice to hold the phone lightly so that the phone's antenna can easily send and receive network signal without any problem. Also, try to remove your phone cover whenever possible. Although phone is always ready to receive signal but sometimes, it may not connect again automatically even when the network signal is available. They do so for some good reasons such as to improve device's performance and to save battery life. In order to get back the signal, you've to search the network operator manually. Sometimes, restarting the phone may also work, or you can turn on airplane mode for some time period. Wi-Fi is step ahead than cellular network. Apart from using Internet, you can make calls and send messages over Wi-Fi. In case if there is no network signal in your phone, you just have to look for a public Wi-Fi network. It's pretty much easy to use it. Many smartphones have built-in option to make calls over Wi-Fi. When you have weak cellular signal, your phone will switch to Wi-Fi calling, after which it will send and receive all calls and messages over the Wi-Fi network. To enable this feature in your Android phone, go to "Settings > Wireless and Networks > More > Wi-Fi Calling". If your phone doesn't support Wi-Fi calling, you can use number of third-party apps such as Google Hangout, Viber, Skype or WhatsApp, which are available on Google Play or Apple App Store for free. Now most of the smartphones and network operators support call forwarding or diverting feature. If one of your SIM has no signal, your phone will automatically forward all incoming calls to another SIM and thus you can answer them. To set up call forwarding in your phone, reach your manufacturer's and network operator's website to find out the complete process. First you've to know whether your phone support this feature or not. In my previous article, I had discussed about Dual SIM reachability feature of Sony Xperia phone which let you forward calls from one SIM to another, when one of them is engaged in a call. It's another form of call forwarding. Last but not least, if the signal problem is due to the carrier's fault and you're suffering everyday, it's better to change the network operator and buy a new SIM card. Now you can also transfer mobile number from one operator to another. For people living in India, Airtel is undoubtedly the best network operator which has towers in all corners of the country. So these are some of the basic tips which may help you to solve the signal problem in your Android smartphone. If you've any questions, feel free to drop them in the comments. Is there any other better way you know?